Equipped with high power bass drivers, and with padded headband and earcups, this pair of JBL headphones brings together performance and comfort. The next time you’re headed out for a quick run around the neighbourhood, it’ll do you good to take it along with you. The JBL T250SI On-Ear Headphone is a powerful device that enables you to enjoy quality sound on the go. The lightweight and compact structure provides effective portability while the foldable headphone design saves space and makes it easy to carry. The foam cushions and padded headbands help in added comfort and hence you get to enjoy quality music for long hours without any strain. The ear cups of these head phones have adjustable structure and are equipped with high quality sound delivering technology which delivers powerful sound and crisp bass. It has 3.5mm gold plated connector that facilitates enhanced sound reproduction. 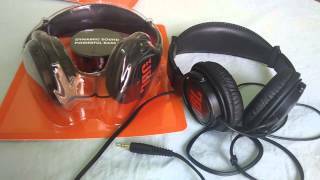 The cutting edge sound technology of these JBL headphones enable you to enjoy powerful audio. The sound drivers are equipped with an enhanced bass feature that offers deep bass and lets you experience every sound detail with clarity. It comes with high quality connectors that facilitate seamless sound transmission. To boost the connector performance, jbl T250SI is gold plated so that you enjoy perfect sound reproductions. The superior magnetic drivers are effective as well. The 20 to 20 KHz frequency range of these headphones offer customized sound delivery and has 32 ohms impedance. These JBL headphones are armed with effective ear cups that deliver superior sound and provide a comfortable audio experience. These ear cups offer clear and sharp sound and also produce detailed bass notes. The ear cups are complimented by foam cushions that prevent any background noise from reaching your ears and you can focus on the music you hear. These foam cushions cover the ears completely and provide a wholesome audio experience. The high quality foam also provides comfort to ears and causes no discomfort even after extended periods of usage. These ear cups come with adjustable design that helps in effective fittings and better hold. 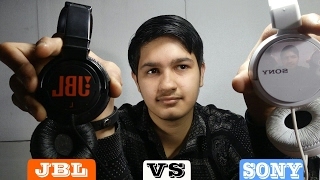 To give more stability and hold, these JBL headphones come with effective headband. The ergonomic structure of this headband helps in better fitting according to your head size. The sleek and lightweight feature provides comfortable usage. This headband has a padded structure that offers comfort and convenience of usage. Plus, the sturdy connector helps in connecting your smart phone or other music device with ease. PLEASE CHECK YOUR LOCAL LAWS BEFORE PURCHASING THIS PRODUCT. First about built quality ….built quality is good.soft cushion on ear and head part,cable is around 1 meter long with good quality, over all plastic quality is good…..Second about sound quality, it is preety much good .I didn’t compare it with Sony MDR zx 110 or senehiser.Bass effect is superb…worth to buy it in this price range. Headphone is clear..no pain in air, for better sound download better quality music. This is second piece I m buying, to gift someone..beside this I m using same headphone from last two years..good one.. 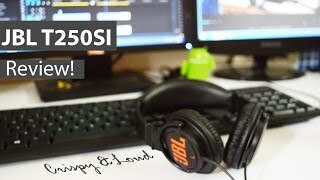 I have been using JBL T250SI on-ear Headphones from past 4 months.The bass is awesome and I am getting issue with cable as I am able to hear sound only at one side.I don’t why it will be like that, I had been thought that it will not give any issue at least for an year because i bought it for 11k. I am not much satisfied with the quality the amazon provided for this headphones.Hope this will help some other guys . One speaker of the headphone is not working at all and the other speaker volume is very less, this problem has occurred within five months of use. good sound .. good bass and treble .. got it in a lightning deal for around Rs1000..
Not useful for extended use. Music is also not as clear as without using headphones. I didn’t notice this until a particular song I knew very well which sounded different when I played it from my laptop. The only positive thing is that the make is really good. What is good sound with full of bass? Get it at a very cheap price! this headphone has a trendy look and adjustable. It produce more decibels than mid range sony headphones. But one problem I faced that if you are going to listen music for a couple of hour then head-ache must. so this headphone is not for continuously wearable. After all best product of this price tag.